There is some poetic justice in the fact that Sachin Tendulkar got the 50th century when he actually did. Today. When his side was down and dusted, battling to stay on in the game. In my opinion, and with due respect to the Kiwi boys, it would have been a damp squib if he had reached this amazing milestone against a side that the Indians were supposed to walk all over (that they had a hard time eventually just goes to prove what a great leveler the game is). Anyways. The match still looks difficult to salvage, especially with just 2 wickets in the kitty and all of tomorrow left to play, and the pitch doing increasingly unpredictable stuff, but the Little Master just proved his mettle (I know, it is superfluous to even suggest that it needs any more proving) by fighting it out. That MSD gave him great company and held his own with the great master, matching him stroke for stroke, and even outscoring him for the most part, was another thing. I believe that he has the ability to bat much higher up in the order in the Test matches and this inning just validates my claim. 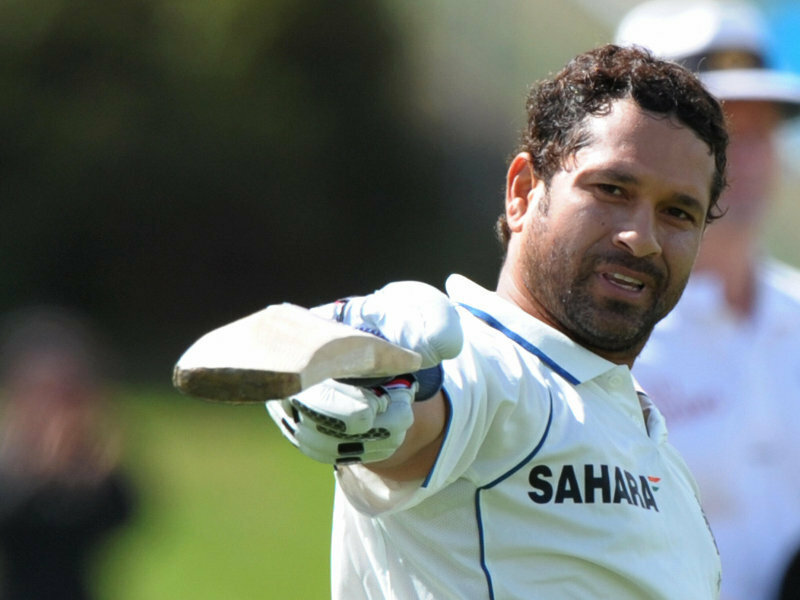 Tags: 50th Century, Cricket, Life, Sachin, Sachin Tendulkar, Sports, Tendulkar, Test Cricket. Bookmark the permalink. Previous post ← Headlines in WTFery!